Cork, Ireland: Mercier Press, 1969 Book. Very Good +. Hardcover. 1st Edition. First Edition, First Printing. A very good Plus to near fine copy in a good jacket with £1.25 still showing to front inner flap. Rubbing to the extremities of the jacket and fade to the spine. First printing with '1969' and no mention of a reprint to the copyright page. Small name to front endpage else pages clean and tight..
Dublin, Ireland: Gate Theatre, 2001. Book. Near Fine. Soft cover. Signed by Author(s). 1st Edition. First Edition, First Printing. 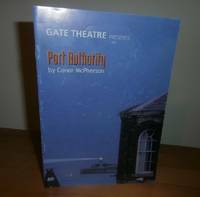 This is a true first edition, first printing (first impression) Playbill from the Irish Premier April 24 2001.. Some rubbing to the cover, internally unmarked. SIGNED by Conor McPherson to the title page. .
Dublin, Ireland: Olympia Theatre, 1965. Book. Very Good. Soft cover. Original illustrated wrappers light creasing. From November 25th 1965 which was the return visit pf 'The Field' to the Olympia Theatre - first premiered November 1st 1965. Uncommon. Dublin,Ireland: Peacock Theatre, 1967. Book. Good. Soft cover. 1st Edition. First Edition, First Printing. Pp. 22. Original wraps, closed and repaired tear to bottom front panel, else clean slight fade. Internally clean pages, unread. .
Dublin,Ireland: SCEPTER BOOKS, 1968. Book. Very Good +. Soft cover. 1st Edition. First Edition, First Printing. This is a true first edition, first printing (first impression) uncommon play by sculptor James McKenna. Clean unread copy..
Dublin,Ireland: The Abbey Stage, 1992. Book. Near Fine. Soft cover. 1st Edition. 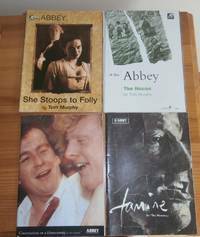 First edition's, first printing's (first impression's) a selection of playbills, Original Theatre Programme (4) The House;She Stoops to Folly, Famine and Conversations on a Homecoming. 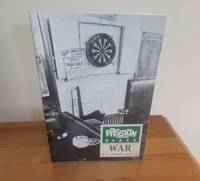 Very good plus to Near fine condition with light shelfware, The House has a crease to the front cover. . The House (2000), She Stoops to Folly (1996), Famine (1993) and Conversations on a Homecoming (1992). 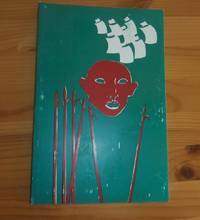 The House has an introduction by John McGahern. .
London, United Kingdom: Nick Hern Books, 2001. Book. Near Fine. Soft cover. Signed by Author(s). 1st Edition. First UK Edition, First Printing. This is a true first edition, first printing (first impression) with no reprint statement to the copyright page which indicates a true first print, a paperback original, small crease to rear wrapper. 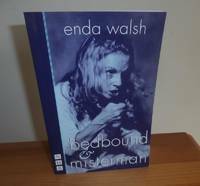 SIGNED by Enda Walsh to the title page..
London, United Kingdom: Nick Hern Books, 2010. Book. Near Fine. Soft cover. Signed by Author(s). 1st Edition. First UK Edition, First Printing. This is a true first edition, first printing (first impression) with no reprint statement to the copyright page which indicates a true first print, a paperback original, small crease to rear wrapper. SIGNED by Enda Walsh to the title page..
Loughcrew, Oldcastle Co Meath, Ireland: Gallery Press, 1995. Book. Near Fine. Hardcover. Signed by Author(s). 1st Edition. First Edition, First Printing. This is a true first edition, first printing (first impression). in a near fine jacket. Small name to the front end page otherwise unmarked. Signed "To" although not dedicated by the playwright Marina Carr to the title page. [To ... Marina Carr]. Dublin, Ireland: Passion Machine Ltd, 1989. Book. Near Fine. Soft cover. 1st Edition. First Edition First Print. The Author's second play and third book, published as a paperback original with no hardcover produced. near fine copy of a notoriously fragile book. Small scrape to the spine at the bottom of the rear panel. Unread with tight unmarked pages..
Dublin, Ireland, 1972. Book. Good. Hardcover. Signed by Author(s). 1st Edition. Notebook of Tomas Mac Anna for the year 1972. First five pages in Mac Anna's written hand beginning in July 1972 'Notes for Play and Project July 1972' he outlines ideas for plays including Radio Plays and other projects. Signed to the front endpage on a sticker [Tomas Mac Anna Abbey Theatre Dublin] Some wear to edges as you would expect from a personal notebook. 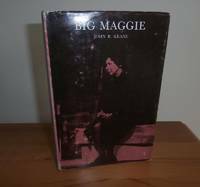 Mac Anna was the Abbey theatre director and Tony Award winner for Best Direction of a Play in 1970 for Borstal Boy. London, United Kingdom: Methuen/ Druid & Royal Court Theatre, 1996. Book. Very Good +. Soft cover. 1st Edition. First Edition First Printing. 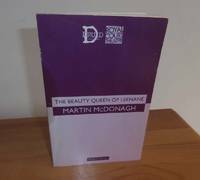 This is a true first print of Martin McDonagh's first play. Light fade to the spine and some toning to the pages, scrape to inside rear cover. A clean and acceptable copy of the playwright, screenwriter, and director's first published play. Very uncommon. . Passion Machine Ltd, 1989. Soft Cover. Near Fine. First Edition First Print. The Author's second play and third book, published as a paperback original with no hardcover produced. near fine copy of a notoriously fragile book. 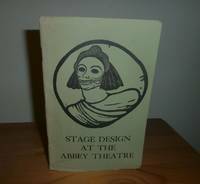 Also included is the original program from The Passion Machine production of the play which is extremely scarce. Both are Signed by the Author Roddy Doyle to the title page's. Dublin, Ireland: New Island, 2000. Book. Near Fine. Soft cover. Signed by Author(s). 1st Edition. First Edition, First printing. A true first print published as a paperback with no hardcover edition produced. 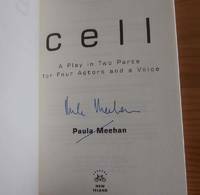 Signed by Paula Meehan to the title page..
London, United Kingdom: Faber and Faber, 1980. Book. Near Fine. Soft cover. 1st Edition. First UK Edition, First Print. 44 p. ; 19 cm. This is a true first edition, first printing (first impression) a true first and a paperback original with no hardcover produced, unread with clean tight pages, light fade to wrappers. .
Newark, Delaware: Proscenium Press, 1975. Book. Very Good. Soft cover. 1st Edition. First American Edition, First Print. This is a true first edition, first printing (first impression) and a paperback original with no hardcover produced. 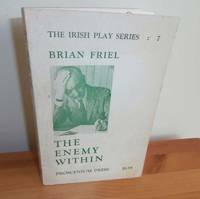 It was published in Ireland several years later by Gallery Press but the Proscenium Press edition is the true first and very scarce. 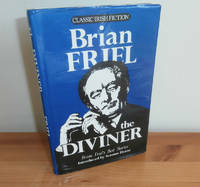 Some soiling to the cover front and rear, internally clean and unmarked, signed to the front page by a 'Robert Friel' . 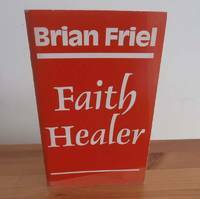 Dublin, Ireland: O'Brien Press, 1983. Book. Very Good +. Hardcover. 1st Edition. First Edition, First Print. This is a true first edition, first printing (first impression) copy in a Very good to near fine with light fade and a small scratch to the crown of the spine of the jacket which is not price clipped, light pushing to the boards at the crown and base of the spine internally clean and unmarked. .
Loughcrew, Oldcastle Co Meath, Ireland: Gallery Press, 2009. Book. New. Hardcover. Signed by Author(s). 1st Edition. First Edition, First Printing. This is a rue first edition, first printing (first impression). in a pristine jacket. 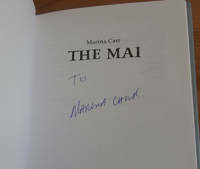 Signed by the Playwright Marina Carr to the title page..
Loughcrew, Oldcastle Co Meath, Ireland: Gallery Press, 2011. Book. New. Hardcover. Signed by Author(s). 1st Edition. First Edition, First Printing. This is a rue first edition, first printing (first impression). in a pristine jacket. 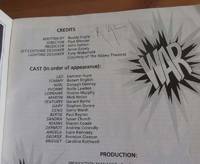 Signed by the Playwright Marina Carr to the title page..
Loughcrew, Oldcastle Co Meath, Ireland: Gallery Press, 2000. Book. New. Hardcover. Signed by Author(s). 1st Edition. First Edition, First Printing. This is a rue first edition, first printing (first impression). in a pristine jacket. Signed by the Playwright Marina Carr to the title page, laid in loosely is a booklet to the festival where the book was signed..